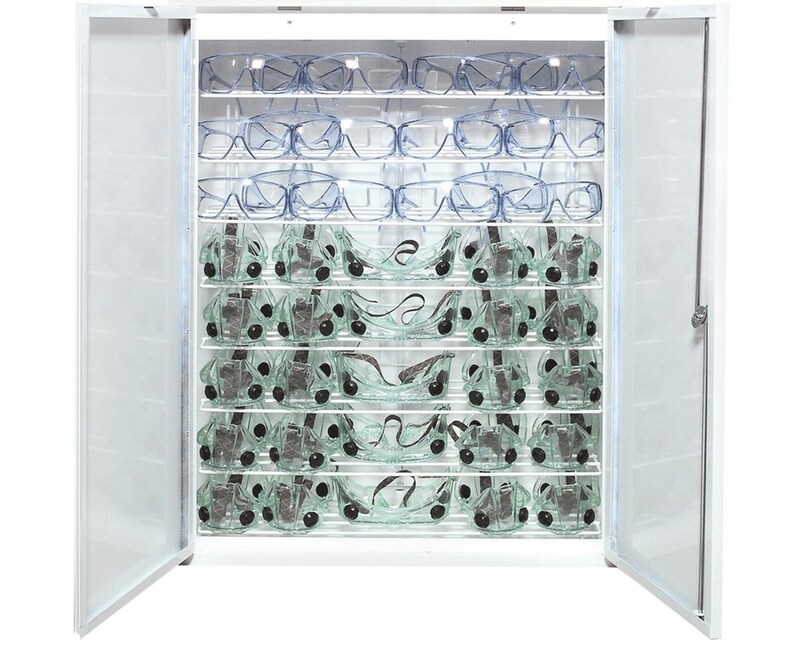 With an average bacteria kill rate of 99.2% the Diversified Eye Safety Cabinet is the perfect monitor germicidal storage for your lab glasses or googles. 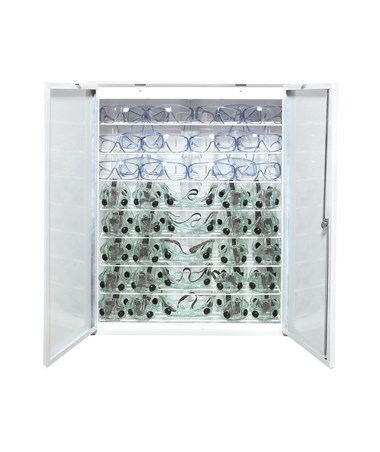 It has the ability to clean up to 40 googles or 48 pairs of safety glasses in five minutes in its eight shelves. This cabinet uses a germicidal lamp which produces UV light that kills bacteria by exposing it to the UV light. 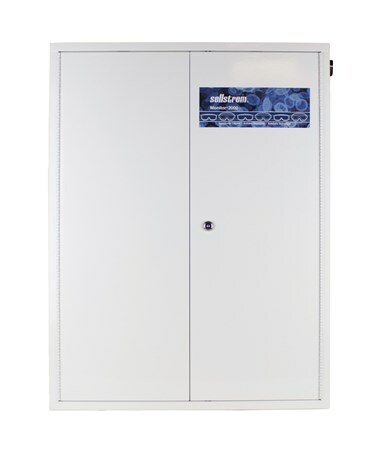 The Diversified Eye Safety Cabinet is constructed of 24 gauge white enameled steel and can be wall or shelf mounted with seven feet grounded electrical cord. The double doors seal in UV radiation with its tamper-resistant latches, it is also lockable and includes two keys. A pilot light indicates when the UV lamp is in use and an automatic shutoff feature safely turns off the UV lamp when doors are accidentally opened during UV cycle. This cabinet includes a timer controlling the five-minute cycle. 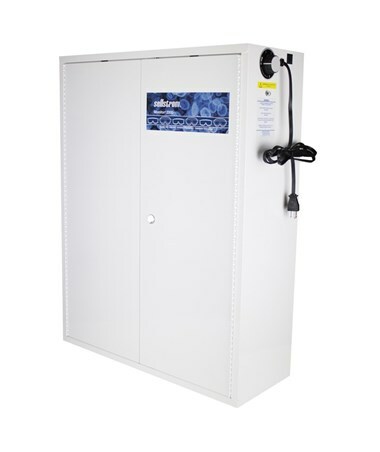 To ensure no direct UV radiation escapes from the Diversified Eye Safety Cabinet when in use, it is tested and approved by Underwriters Laboratories Inc. and listed under file number E140818. This cabinet measures 24-1/2"W x 32"H x 9-1/2" D and weighs 45 pounds. Made in the U.S.A., the germicidal lamp is backed up with a 20-year limited warranty and the cabinet is covered by a limited lifetime warranty. Note: Googles are not included. Approved and tested by Underwriters Laboratories Inc.